The body section is mounted on 5cm castors. It comes with IV Rod. The Crib has positions like Trendlenburg / Rev. Trendlenburg. Wooden utility box below the Crib. Product Size: 70 x 45 x 80 cm Size. 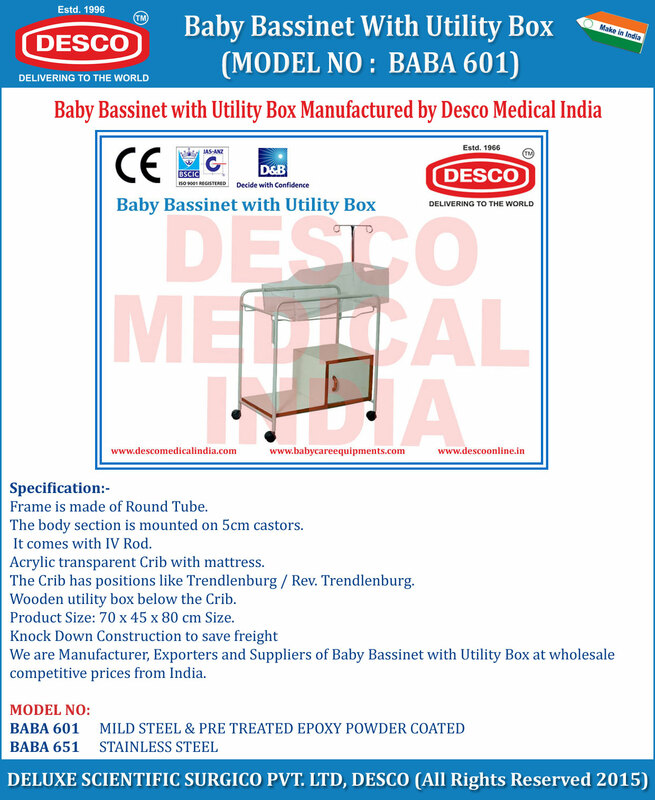 We are Manufacturer, Exporters and Suppliers of Baby Bassinet with Utility Box at wholesale competitive prices from India.